Slang on your apron & wash up, because it’s time to make your Thanksgiving feast! I’m spending this Thanksgiving with my boo’s family in Minnesota, so I won’t be making my own menu this year. If I were cooking, this is the menu I’d be making. Cheese Plate- One hard cheese, one soft cheese, & one cheese you haven’t tried before; two types of crackers (I like plain water crackers & something with a lot of seeds); some dried fruit & assorted nuts. Wine (a Riesling would be lovely), cider (non-alcoholic & boozy), good beers, & assorted sodas. And don’t forget to set out a pitcher of water! Peas- My mom always makes peas, so I make peas. I sautée some fresh thyme in butter then toss in (defrosted) frozen peas. Let it all get hot & friendly and boom veg done. Cranberry Sauce- There are two types of people in this world, those who like home-made cranberry sauce & those who like the canned stuff. I’m one of the latter group. This babe loves cracking open a can & squeezing the jelly out onto a plate. Deal with it! If you’re one of the former people, bring 2 cup sugar, 2 cups water, & 4 cups cranberries to a boil. Let them go until the crans pop, turn off the heat and let the sauce cool before serving. Biscuits- Again, I go the pre-made route for biscuits. There’s nothing like the rush of popping open a can of Pilsburry with a spoon. Here’s a good looking biscuit recipe if you’d like to DIY. Simple Roast Turkey– You can do it! What must-have dish is on your Thanksgiving menu? My boo and I recently had some film developed that included our trip to France last summer as well as some more local shots from this past summer. I thought I’d give you a little look into our more recent summer’s adventures. Enjoy! Do you ever shoot film? My boo & I are headed to Minneapolis next week to visit family for thanksgiving, so I’ve had coats on my mind. Here’s a look at some different styles sure to keep you snug in the cold. Which is your fave coat style? Happy Monday Babes! Hope you had a grand weekend. I’ve got a week of fairly eclectic dinners planned. I was wracking my brain trying to figure out what to write today when the smell of banana bread wafted out of my oven and inspired me. I’ve made this recipe more times than I can remember at this point. In fact, after making it the first time, I haven’t made another banana bread recipe. So my banana lovin’ babes, here it is! 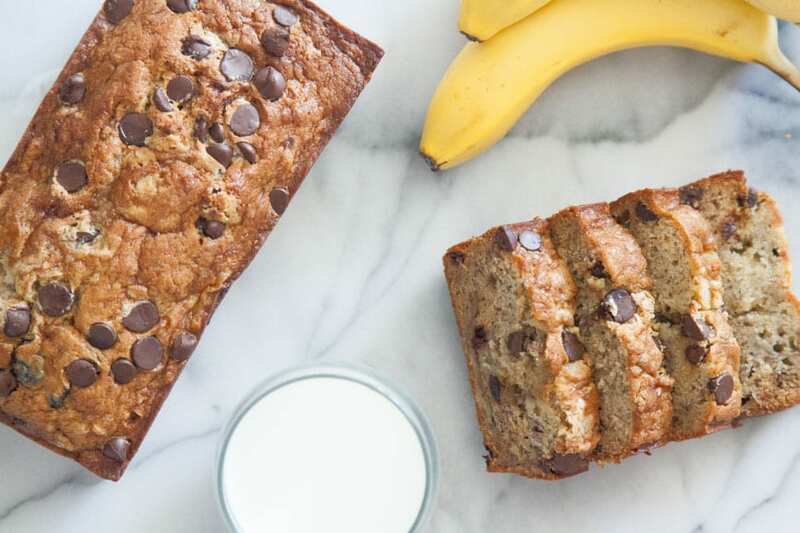 The only Banana Bread recipe you will ever make again. Now you’ll need some cozy gear for lounging on the couch and eating a 4 inch thick slice human-sized slice of this delectable bread. Try these on for size! I’m going to snuggle up on the couch and indulge in some banana bread and tea. Another wild night in the Babe House! How are you spending your Friday night? To celebrate this honorable day, I thought I’d share a photo of my favorite member of our armed forces, my boo! 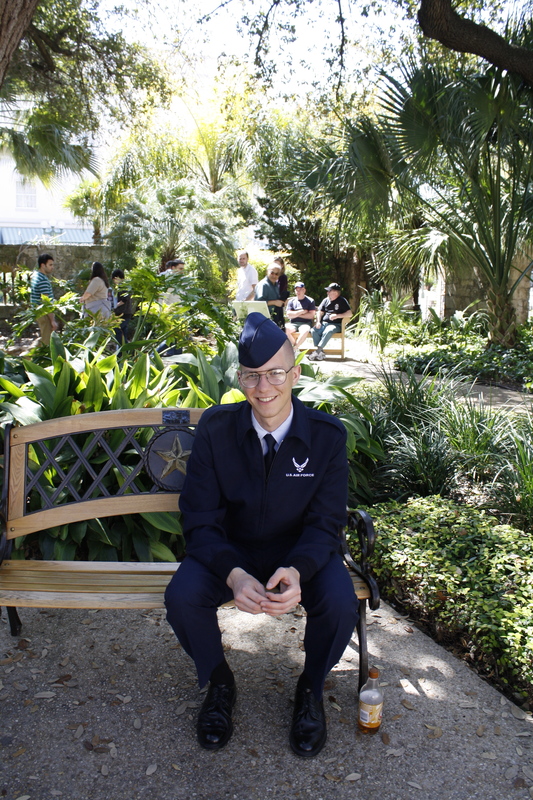 This photo was taken in 2010 in San Antonio, Texas when he first joined the United States Air Force. His service has taken him across the country and overseas. It has also given me the opportunity to visit places I never thought I’d go, as well as ultimately taken me to the city (Anchorage, AK) I’ve grown to adore and now call home. Every day I’m proud of my boo, but today is a day for an excess of my pride, respect, and appreciation. To all members of the U.S. Armed Forces- past, present, & future -thank you for your service. Who are you honoring today? Happy Monday Babes! I trust you had a lovely weekend. I’ve spent the morning cleaning and organizing the apartment with my boo and now I’m more than looking forward to dinner!